Hundreds of visitors from Maine and out of the state gathered in Blue Hill on August 4 to enjoy the annual Blueberry Festival held at the First Congregational Church of Blue Hill. 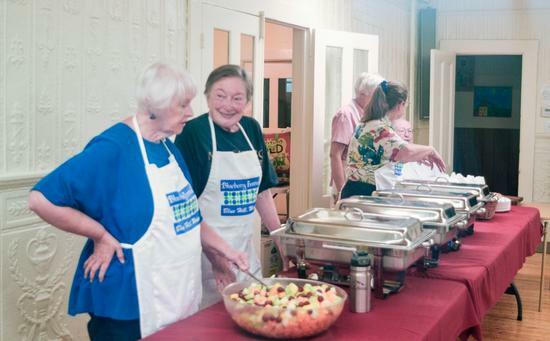 A group of friendly volunteers serve up pancakes at the pancake breakfast during the Blueberry Festival on August 4. The breakfast is one of the most popular events at the festival, with more than 150 attendees in just three hours. 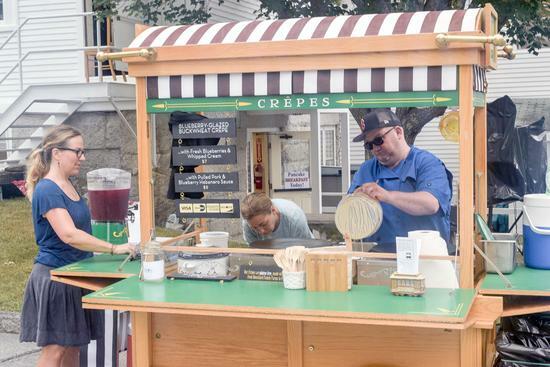 One of the more popular booths at the Blueberry Festival held in Blue Hill on August 4 featured French-style crepes with toppings and fillings such as blueberries and cream, as well as pulled pork with habanero sauce. 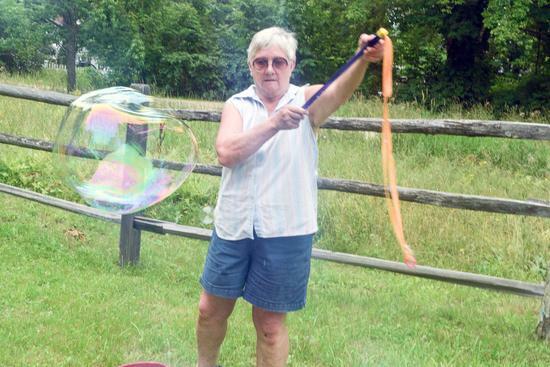 Volunteer Rebecca Wentworth perfects her bubble-making technique at the annual Blueberry Festival in Blue Hill on August 4. Several family-friendly activities were available during the festival, including ring toss and a cake walk. Jim the Magician cast his spell by performing tricks for a crowd of children during the annual Blueberry Festival in Blue Hill on August 4. 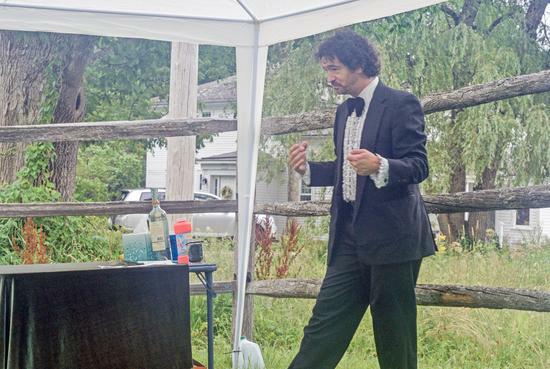 This is the eighth year that Jim Picariello has performed a magic show during the event.